Not sure what to get the bowhunter in your family or Office? 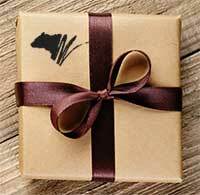 GrizzlyStik gift certificates make the perfect gift! Especially for the person "you just don't know what to get." Our gift certificates never expire and can be used to purchase any product we offer. Note: Redeemable by phone only.